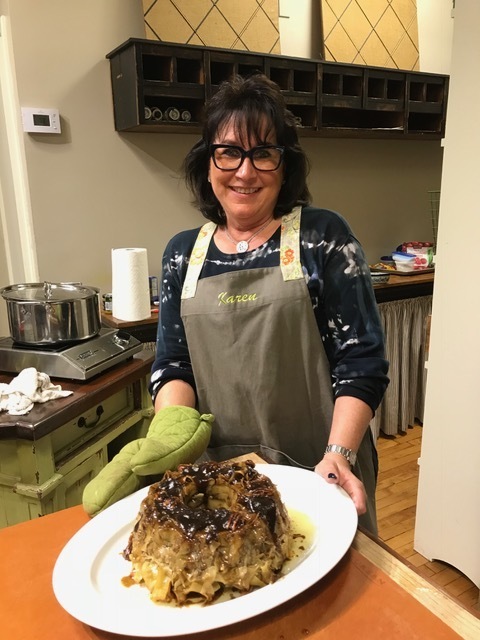 Mishpocheh means "family" in Yiddish and Caryn Rothenberg shared her Jewish heritage with us as she brought old family recipes to demonstrate and they were deee-licious!! While interjecting lots of humor into family stories Caryn treated us to Beef Brisket cooked slow in it's own au jus and Keugal sweetened with brown sugar and pecans. Wow! What a wonderful combination for the taste buds. Her carrot souffle was the prize winning side dish. Caryn's chicken soup was amazing and the recipe should hang in every doctor's office - as once you taste it you will forget what ails you! 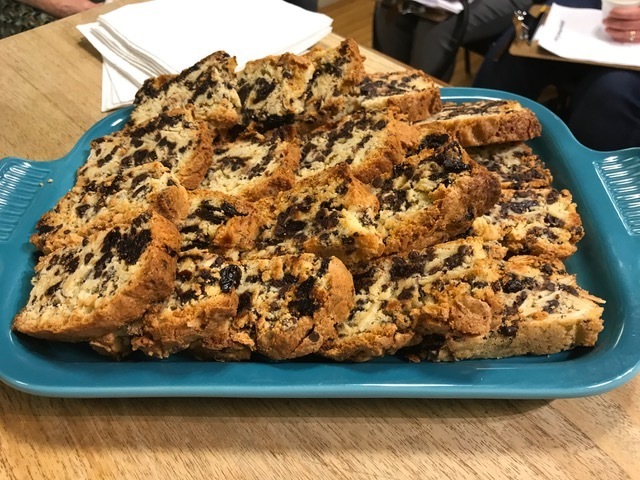 Dessert was Mandel Bread - a biscotti like gem filled with chocolate chips, pecans and dried cherries! Yum yum. Thank you Caryn for a great night of cooking at Acorn Farm. Every Bite a Little Bit of Polish Heaven!